Fall is quickly approaching and with it, rainy season! Personally, I love the foggy mornings, the colorful leaves, and the empty trails but I dread the exponential increase in dog bathes. 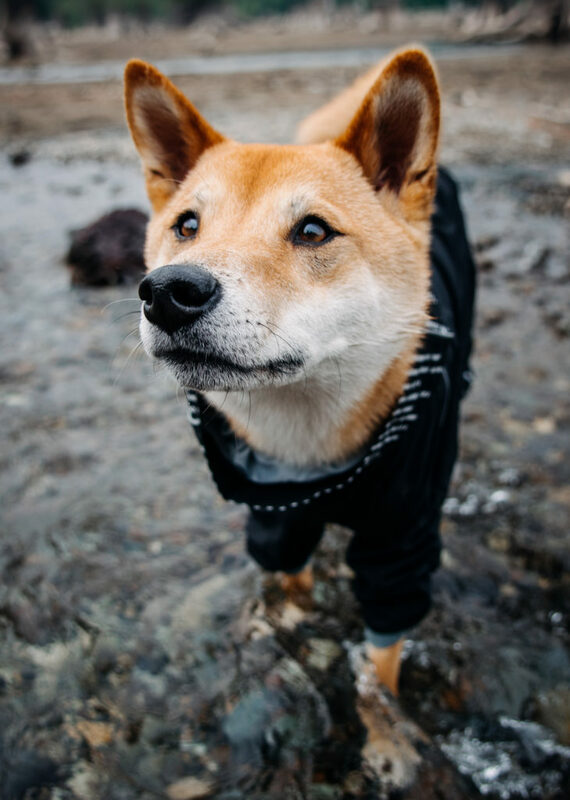 For us, it is equally important to have a functioning dog jacket for changing weather conditions as it is for the human’s to have a weatherproof shell! Dogs that Hike offered Ellie and Kato the opportunity to test the new Downpour Suit from Hurtta America. The suit is made for wet weather. 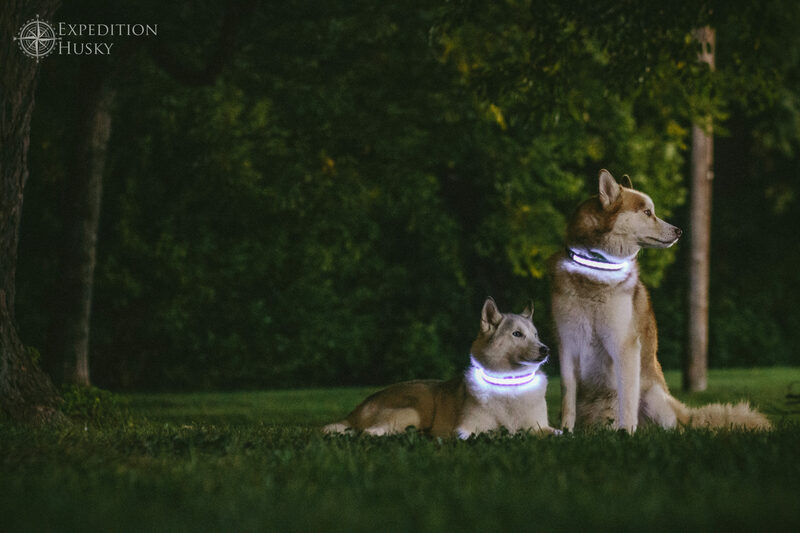 The material is a laminated fabric with a breathable, waterproof and dirt-resistant membrane to protect your dog from the elements. If you’ve familiarity with the Hurtta brand, you’ll notice the Downpour Suit is an upgraded version of the Slush Combat Suit. In the new design, Hurtta addressed some common issues such as leg length. It features a highly adjustable fit with cinch points at each leg, the neck, the shoulders, and the waist. It is currently available in two colors: black and green camo. The camo has been treated with Permethrin for protection from insects. As the jacket is designed mainly for rain protection, it offers little to no warmth. If your dog has thin fur or is easily chilled, I recommend layering up with the Hurtta Body Warmer or looking into the Hurtta Drizzle Coat. Compared to other jackets we’ve tried, the Downpour is much more time consuming to fit for the first time and slightly longer to put on the dogs after fitting. When first fitting, I highly recommend to start with the shoulder cinch point as it both lifts the jacket on the chest and pulls it forward on the back – this is the most critical adjustment. Next, adjust the waist, the legs, then lastly the neck. Kato barely needed any leg adjustment with his stilt legs but Ellie’s little stumps required the cinch as tight as possible. We took the dogs to the lake for a rainy afternoon. 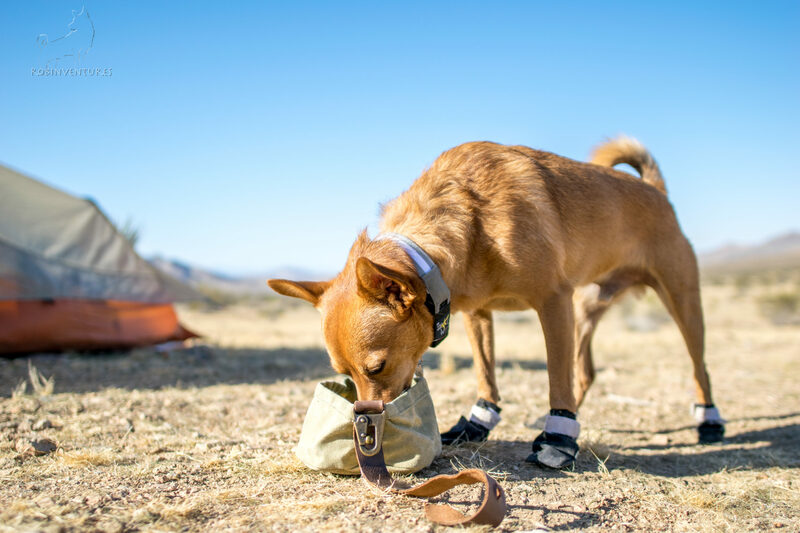 Naturally, the weather cleared on arrival but we were still able to test the waterproof-ness, flexibility, and overall functionality for keeping the dogs clean. Ellie took her job pretty seriously and after just a few hours the jacket had experienced: zoomies, rolling, swimming, jumping, and wrestling. Kato’s approach of testing was more of an “average” walk. One issue we noticed was each time Ellie swam, her legs slipped out of the suit which caused her to trip and get stuck trying to walk. Even after readjusting the leg fit, her paws still slipped out when she swam. As swimming was not the intended purpose of the design, it would be best to avoid the activity when using the Downpour Suit. On our adventure, Ellie rolled in dead fish and goose poo. It was the most awful smell on the drive home but with a gentle rinse the jacket looked (and smelled) brand new! I recommend the suits only be hand washed with cool water, avoiding detergent if able, then left to air dry. Using a washer and dryer to clean accelerates the wear on the suits while also destroying the Houndex waterproof treatment. Overall I was very impressed with the quality and durability of the suits. Through all the rolling and wrestling, there were no rips, tears, or scratches. The Downpour Suit kept both dogs dry and mud free – until Ellie started swimming, of course. 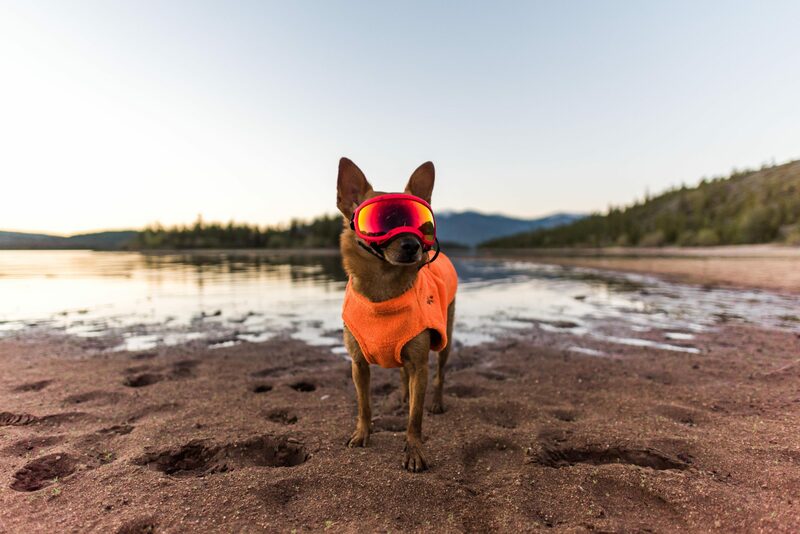 With Seattle’s rainy season just kicking into gear, I will be using the suits over and over on our hikes to keep the dogs dry from rain and wet grass. Below is a little video of some of our adventures and experience with the Downpour Suit. 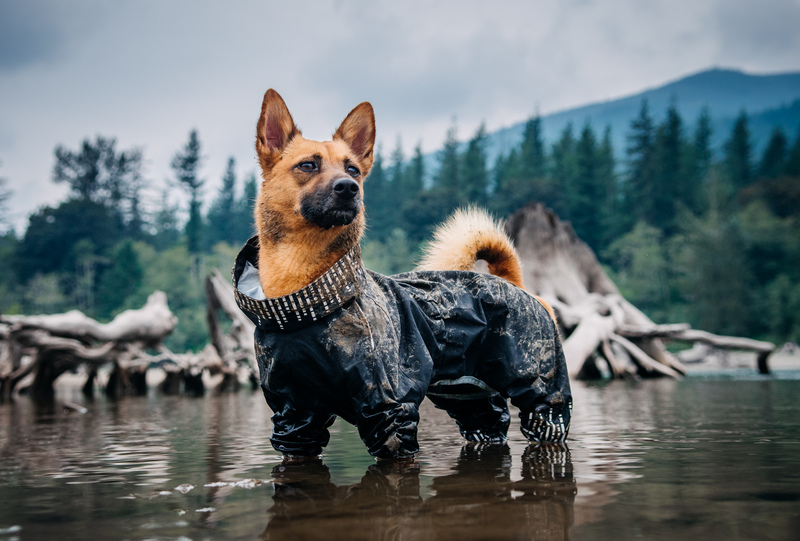 The Downpour Suit would be best for: keeping long or short haired dogs dry and clean on hikes and/or long walks with changing weather conditions. The Downpour Suit may not be ideal for: short walks or dogs with sensitivity to touch.